He noted that the benefits of matcha are well documented, and have been reported to boost metabolism, burn calories, naturally detoxify, calm the mind, relax the body, enhance mood, aid concentration, promote healthy skin tone and lower blood pressure, blood sugar and cholesterol. Matcha Energise – the combination of Japanese matcha green tea powder, ginger powder, guarana powder, ginseng powder and gingko biloba powder better prepares people for activity and exertion. Matcha Recovery – blending Japanese matcha green tea powder, peppermint powder, nettle powder, milk thistle powder, spirulina and lavender powder improves recovery from activity and exertion. Matcha Health – the blending of Japanese matcha green tea powder and moringa powder offer overall active day performance improvement. 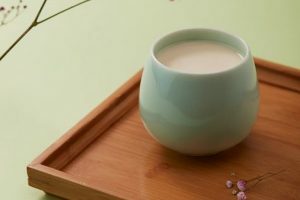 “Our Matcha Tea line offers a slow-release ‘focused alertness’ and the associated improvements to performance without negatively affecting sleep,” said Harris. He said the Matcha Energise is to be taken before a workout and the Matcha Recovery post work out, while the Matcha Health is for everyday drinking. The blended Matchas were created by T-tox’s master tea blender who has over 18 years’ experience and Harris, who is an expert on the body and the effects of exercise and recovery, which he has studied over the past 16 years through his professional work as a personal trainer and sports therapist. 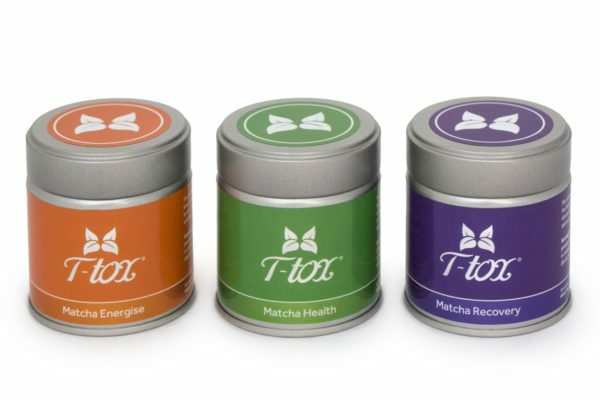 T-tox Matcha Teas are available in brushed steel tins that are designed to keep the tea fresh for many months. The line is currently available online at www.t-tox.com. 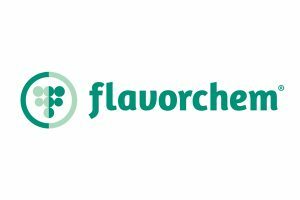 The products have an MSRP of MSRP £25 for 40g (63p per cup). T-tox is also offering a glass shaker that is designed as a non-toxic alternative to plastic for on-the-go consumption (MSRP £15). T-tox Matcha Tea will be rolling out over the next three months to gyms, yoga studios and pilates studios. 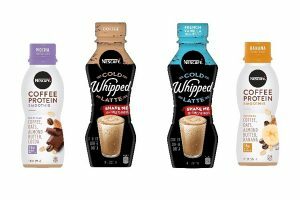 The line is not yet available in the retail market, but Harris said there has been interest from health food shops, health club shops, leisure centres and some of the luxury shops.